Jeff Ubois is director of archival solutions at Intelligent Television, a producer of educational video materials funded by the Hewlett Foundation. He is also an advisor to Preserving Digital Public Television based at WNET in New York. Earlier, he was staff research associate at the School of Information Management and Systems at the University of California, Berkeley, where he developed approaches to measure the accessibility of archival holdings. For the Internet Archive, he has helped to develop policies for handling violent images, maintaining archival integrity, and managing usage data. He writes about issues in television archiving and digital video at http://www.archival.tv. 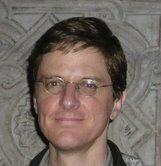 His articles have appeared in First Monday, the Journal of Digital Information, Release 1.0, ComputerWorld, and the publications of Ferris Research, a San Francisco-based consultancy specializing in collaboration software. Jeff Ubois serves as Treasurer.